Eoropie coastline lies at the most Northerly part of Lewis with the powerful Atlantic pounding the coastline especially during the Winter months. 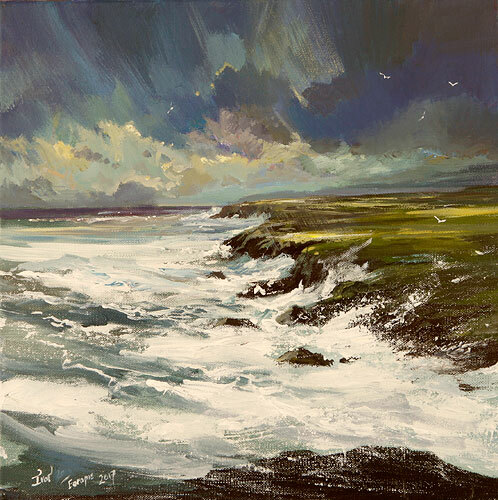 This painting depicts one such powerful storm when the elements are unleashed. It was unsettling at times but also enthralling to paint. Painting with such vigour releases tremendous energy.